Amongst all the feed additives, enzymes are the most researched products for use in animal feed, especially in poultry and swine feed. Feed enzymes play a major part in improving the efficiency of meat and egg production by changing the nutritional profile of feed ingredients. Which nutrients do exogenous enzymes make more digestible? How to fully capture the value of enzymes in feed? Nutrient downspecs (with a focus on amino acids), Net Energy system, combination of several activities; these options will be detailed below. Diets fed to broilers, as also to other livestock, contain considerable number of indigestible fractions. In fact, 20 to 25% of the organic matter is unavailable for absorption in broilers. In the last three decades, several enzymes have been developed for improvements of feed digestibility. A wide range of enzymatic activities are indeed required to target the various components of the feed indigestible fraction. Exogenous enzymes have created the possibilities to diversify the use of raw materials in feed and decrease nutritional specifications, thus reducing feed costs. The respective parts of energy, protein and phosphorus, average 64%, 27% and 9% of the diet cost respectively (Figure 1). Exogenous enzymes aim mainly at decreasing the cost of these nutrients, even though energy is not a nutrient per se as it originates from the metabolism of carbohydrates. 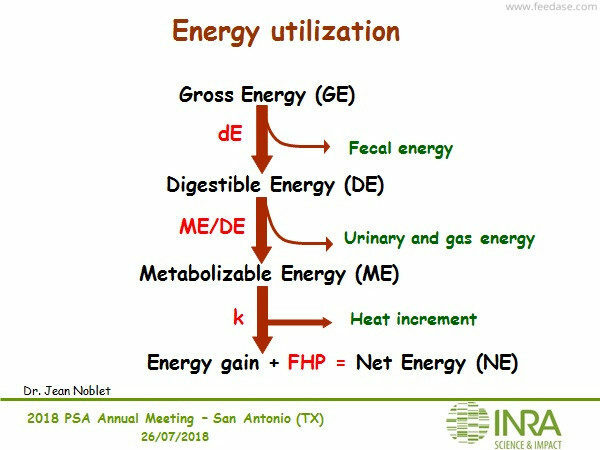 Besides apparent metabolizable energy improvements, exogenous enzymes, other than protease, are extremely interesting for increasing amino acid digestibility in monogastrics. 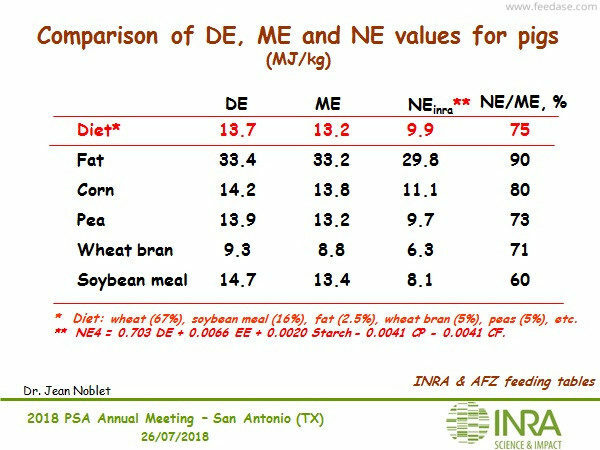 With the addition of phytases and carbohydrases in feed, it is possible to significantly decrease the level of crude protein of the diet, which has many benefits in terms of feed costs and production sustainability. Considering this from a least-cost feed formulation perspective, it is highly relevant to place the cursor a bit below the optimum animal response, in order to allow a good utilization of the released amino acids (Figure 2). Phytases and multi-carbohydrases complex have both individually demonstrated to increase the digestibility of protein and amino acids. 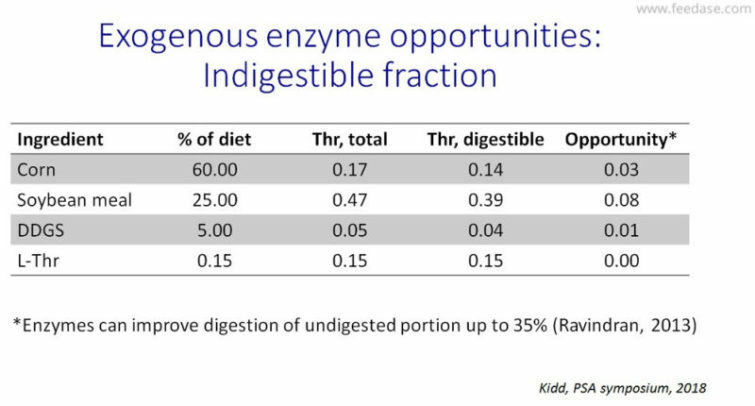 Recent research has shown that the combination of the two types of enzymes provides further digestibility improvements for all amino acids (Cowieson and Bedford, 2009). Thus, confirming a complementary effect of such combination, thanks to complementary modes of action. Kidd took the example of Threonine to show potential digestibility improvements (Table 1). Considering the statement that enzymes can improve digestion of the undigested portion up to 35%* (Ravindran, 2013), part of the Threonine coming from vegetal raw materials can become available. 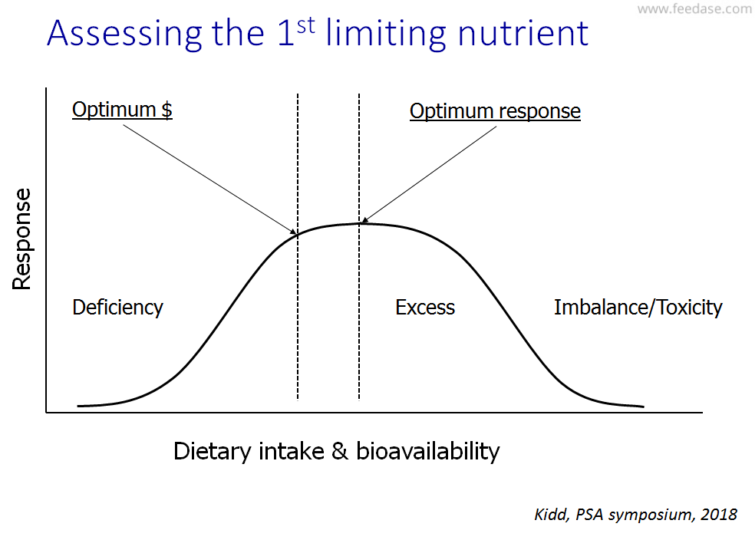 Consequently, it is necessary to control / standardize the effects of “non-feed” factors (i.e. animal / environment / methodology model) for evaluating NE of feeds. 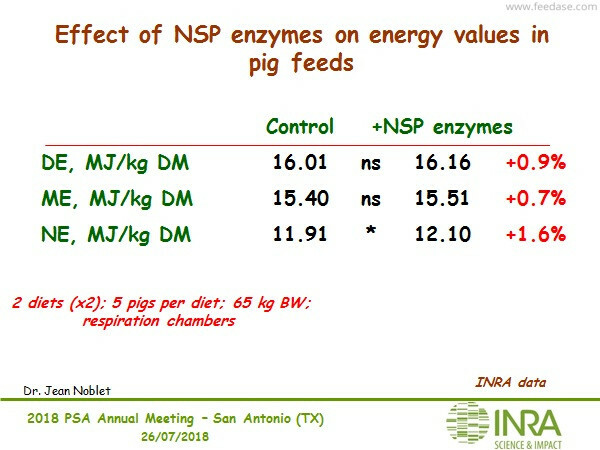 In swine nutrition, the NE system has demonstrated to provide an efficient prediction of the “true” energy value of feed. Recent research suggests that the effect of exogenous enzymes is larger when evaluating it in the NE system. These first results & hypotheses require validation and refinement, through further calorimetry and NE studies. 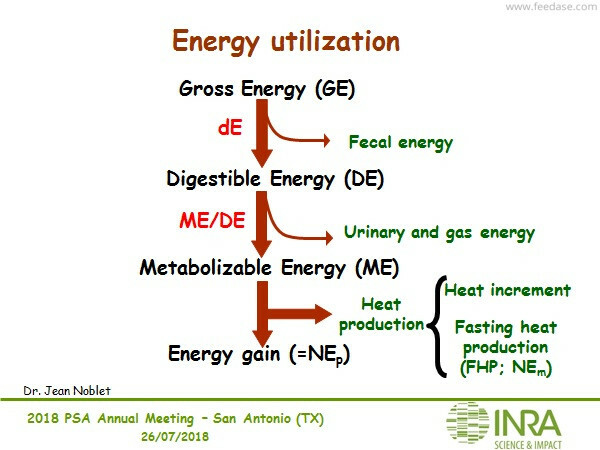 Reduction in maintenance energy requirements <=> changes in gut metabolism, health, behavior, etc. As the modes of action and substrates of phytases and carbohydrases are different, their effects on diet digestibility and performance are complimentary. The nutrients made unavailable by NSP and phytate are not the same. Consequently, nutrient release is higher when using both types of enzymes. The cost-effectiveness and nutritional efficiency of this kind of combination relies upon the matrix values applied when formulating feed. When using superdosed phytase in combination with a multi-carbohydrase complex, costs savings and sustainability benefits are larger. A recent study (Jlali et al., 11th Asian Pacific Poultry Conference, 2018, Poster presentation) showed that this kind of combination (MCPC = Multi-carbohydrase-phytase complex) had the potential to compensate for up to 5% reduction in me, 6% in dAA and 0.18% in av.P and 0.16% in Ca., without affecting broiler performance and carcass characteristics. 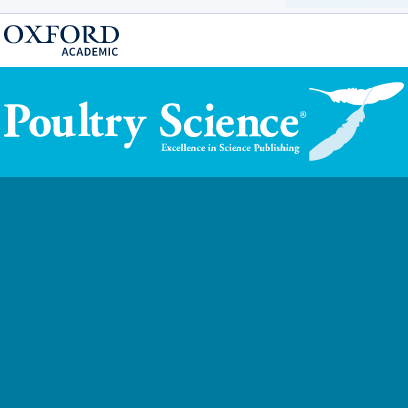 The reduction of ME and nutrients significantly reduced the BWG and increased FCR (P < 0.0001; Figure 3-a & b) without any effect on feed intake in broilers from 10 to 42 days of age. 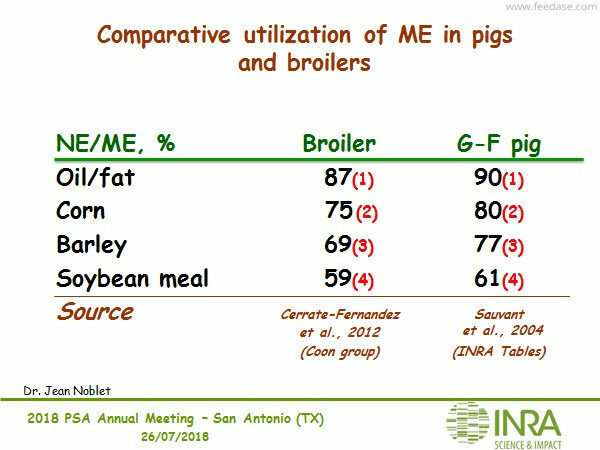 Carcass, breast and leg weights of broilers at 42 days of age were significantly impacted by the ME and nutrient reduction as well (Figure 4). However, all these criteria were totally restored by the addition of MCPC.